Researchers from the University of South Australia have developed an electronic device they claim can accurately determine the age and quality of a wine. Created by Dr Xavier Ceto Alseda, a research associate at the Future Industries Institute at the University of South Australia, and his colleagues, the so-called ‘electronic tongue’ can even identify the type of barrel the wine has been aged. Ceto’s aim is to use the electronic tongue to test wines on an industrial scale to ensure they meet quality standards before they are sold to consumers. The device, which has been made from gold, platinum and carbon electrodes, measures the electrochemical signals of sugars, phenolic compounds and other compounds present in wine. These signals are then mathematically processed to create a unique ‘fingerprint’ for each wine. While some sensors are able to identify specific compounds, the electronic tongue is able to analyse the overall combination of compounds present in the wine, Ceto explained. “It mimics the process of tasting, where the different sensations perceived (sweet, bitter, sour, salty and umami) are combined by your brain,” he said. As reported in the New Scientist, The researchers have tested the device on 52 red wines from Catalonia in Spain. First, they asked eight sommeliers to give the wines a score out of 10. They then calibrated these scores to the ‘fingerprints’ produced by the electronic tongue, creating a model which could accurately predict the sommeliers’ ratings in other wines by analysing their fingerprint. While the New Scientist noted that there are already electronic devices that can tell wines apart based on their chemical composition and grape variety, this is the first device that can predict the taste perception of sommeliers. The aim of Ceto and his fellow researchers is now to test the device on a bigger scale in the hope of demonstrating that it can overcome the need for sommeliers to taste scores of wines in a single day, or even sitting. “You can’t have a person tasting 100 wines per day, so this sensor may be able to help screen them,” he said. 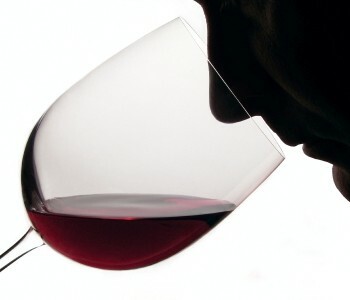 The effectiveness of wine judges tasting a large number of wines in a single sitting is often called into question. Critics of such tastings argue that the limits of one’s tasting ability are considerably greater than professional tasters are given credit for. In the 1980s, the neuroscientist ET Rolls identified the phenomenon of sensory-specific satiety, which dictates that satisfaction declines the more one has of a certain food or drink, which can influence one’s sensitivity to its nuanced characteristics. It is unlikely that electronic tongues will ever be able to perfectly replicate human taste, Heather Smyth at the University of Queensland, told the New Scientist. “The human senses – smell, taste, touch, sound, and sight – all work together in a very complex way to deliver messages to our brain about the qualities of food and beverages we consume,” she said.